The 79th Annual Academy Awards are behind us now. Of my 24 Oscar predictions, 11 of them turned out to be true. 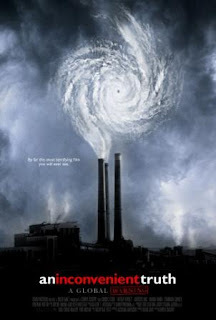 I was thrilled that An Inconvenient Truth won for Best Documentary (Feature). I was slightly suprised that it also for Best Original Song. I was also thrilled that the Oscars went green this year, with so many of the nominees arriving in a zero emission car. I hope that next year the Academy takes it a step further and convinces the Kodak Theatre to use solar power (or some other source of renewable energy). However, I was complete shocked that Pan's Labyrith didn't win for Best Foreign Language Film. I was convinced before the show that they were unstopable in that category. All in all - it was a great show and everyone involved with it deserves to be proud. The 79th Annual Academy Awards are only hours away at this point. With that in mind, here are my picks for the Oscars in each of the various categories. I have a few more details about my up-coming screening in Liverpool. The exhibition is a part of film festival called Global Fusion. The exact date as to when they will show my documentary hasn't been decided as of yet. However, it will most likely be the third week in April. This, of course, gives me a mere eight weeks to figure out how I'm going to afford to a) take time away from paying assignments for a few days and b) cover my travel expenses to Liverpool. Anyway, the next couple of months should be interesting to say the least. I found out over the weekend that my documentary, Checking In: The Story of the Book-Cadillac Hotel, is going to be screened at a Detroit-themed film festival in England this coming April. I'm so geeked about this! Now, I just have to figure out how I'm going to scrape together the cash need to head out to the U.K. I was brainstorming a few ideas with a friend a moment ago. I'm sure I'll think of something. More details posted here as soon as I have the solid. Today marks the beginning of the Year of the Boar in the Chinese calendar. I'm celebrating the ocassion Nemecek-style: ordering in some Chinese food and watching Jet-Li's Fearless. Life is good. 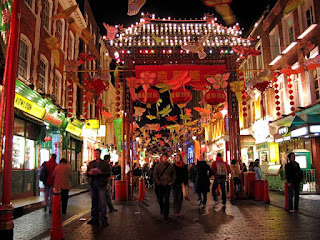 Oh, and kudos to Oliver Spalt for taking this photo of London's Chinatown. I found it on Wikipedia. He did a great job of capturing the vibrancy of the scene. I know it's because I'm a guy, but I can't get enough of watching this video that I found. It's a series of sand castles getting blown-up, in reverse and in slow-motion. I'm really not sure how much cooler a video could be. I just wanted to say, once and for all, that I am not the father of Anna Nicole Smith's baby. In fact, from the way things are going, I think I'm the only person in the U.S. who is saying that. I remember, shortly after I graduated from college, I was having dinner with my girlfriend at the time and some friends of her. One of them worked as engineer for Intel. He said that they had finally designed a microprocessor that was so fast and so powerful that they had no idea what people would use all of its processing power for. He even worried for a moment that this might the mean the end of technological advancement, because his company had finally given users more processing power then they could ever use. For the record, the chip that he was referring to was the Pentium 2. I thought about that dinner this morning when I was reading through this week's issue of Business Week. 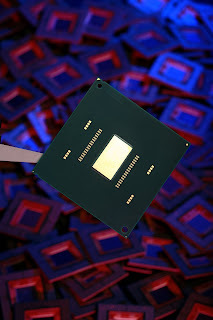 Intel has now unleashed a test chip that is capable of processing 1 trillion calculations per second. They are calling this one the Teraflops Research Chip. It looks like I'm not the only person making movies in Detroit. 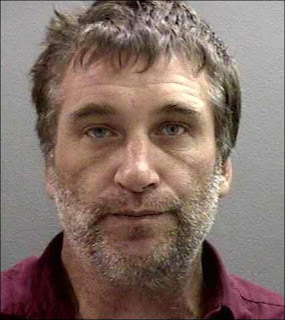 Fugitive actor Daniel Baldwin is busy here, too. 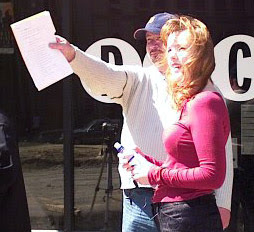 He is in the area making a film called Little Red Devil. Although, I do have one advantage over him - there isn't an outstanding warrant for my arrest to complicate the production of my projects. Oh, and I don't have the worst mug shot ever taken floating around the internet. I guess that makes for two advantages that I have over Mr. Baldwin. St. Valenine's Day is rapidly approaching. Yes, that wonderful holiday when the whole world celebrates my grandfather Valentine Nemecek's birthday is a mere 9 days away. There are, of course, various cynics who think that the holiday has something to do with something other than my grandpa's birthday - but I make it a policy not to listen to cynics. Anyway, with St. Valentine's Day comes gifts and that gets me thinking of some of the cool things that one can for the love of their life. Amanda Box is an amazing sculptor and one of the best artists working in the Detroit area. 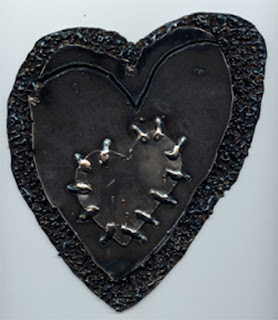 She makes these Steel Hearts (seen to the right) that one can order from her web site. They look so darn cool! I'm of the opinion that food is a great expression of love. I was thrilled, therefore, to find a couple of fanstastic recipes that are perfect for St. Valentine's Day.